MPI: more than a product, a concept! Our offer ranges from the production of washbasin tables and shower trays moulded in synthetic stone to the supply of numerous peripheral accessories: shower screens, printed wall panels, backlit mirrors, siphons, towel rails, tissue dispensers, etc. 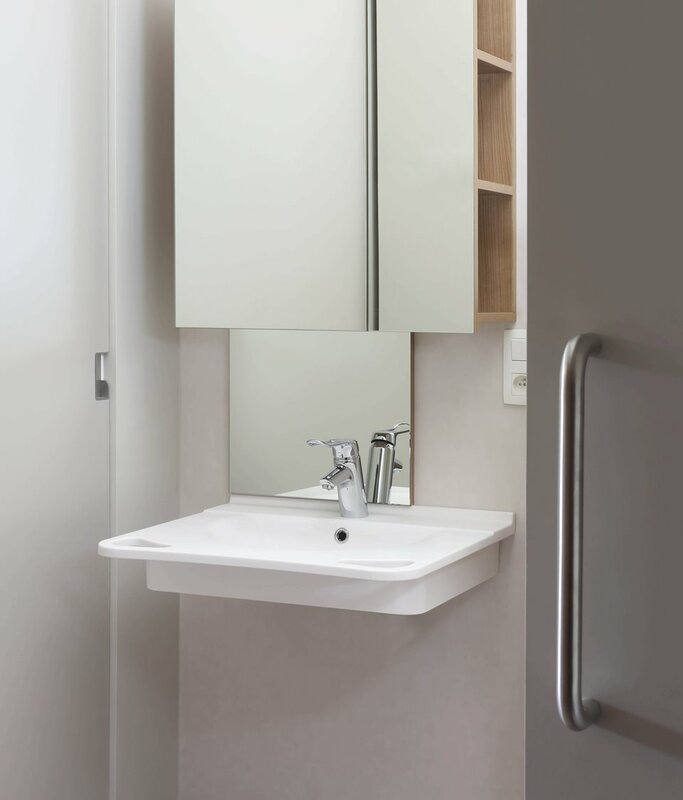 For over 30 years, we have been offering our customers an overall service, which integrates the design, manufacture and on site delivery of the various components of their sanitary facilities. 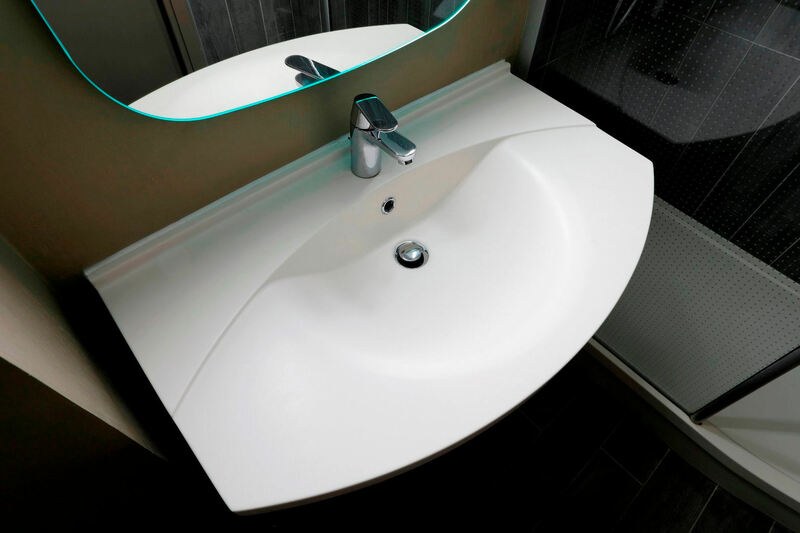 The tools we have developed in recent years allow us to offer a catalogue of nearly 300 washbasin tables and shower trays, available in many colours. In addition, we have established strong partnerships with several manufacturers specialising in the production of accessories in glass, stainless steel and synthetic materials. Thus a multitude of possibilities is available to you when you use our services. - an integrated tooling workshop that is able to develop specific moulds in a very short time.